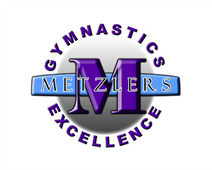 Welcome to Metzlers Gymnastics! To register for our recreational gymnastics classes, please complete the following registration form. Payments will need to be made for the session + registration at the first class. Credit/debit (we do not accept American Express), checks or cash are acceptable payment methods. Please note the session dates in your confirmation email. Once you register you are consecutively enrolled in each session and must notify the office if you are taking a session off. Please click on the search button below, choose the class DAY/TIME you would like to register for. Classes are split by age: Busy Beez: Parent/tot class for walking to age 3 Wee Beez: Ages 3 & 4 Tumble Beez: Ages 5 & 6 Stingers: Ages 7 and up Boys: Boys ages 6 and up Tumbling: Focuses on improving tumbling skills for ages 7 and up, must have cartwheel. Non-Compete and Pre-Team: Evaluations are required to register. Once this form is complete this registration is good through August 2019! In consideration of participating in the Metzlers Gymnastics Development Center (dba Metzlers Gymnastics, LLC) I represent that I understand the nature of this Activity and that I am qualified, in good health, and in proper physical condition to participate in such Activity. I acknowledge that if I believe event conditions are unsafe, I will immediately discontinue participation in the activity. I fully understand that this Activity involves risks of serious bodily injury, including permanent disability, paralysis and death, which may be caused by my own actions, or inactions, those of others participating in the event, the conditions in which the event takes place, or the negligence of the "releasees" named below; and that there may be the other risks either not known to me or nor readily foreseeable at this time; and I fully accept and assume all such risks and all responsibility for losses, cost, and damages I incur as a result of my participation in the Activity. I hereby release, discharge, and covenant not to sue Metzlers Gymnastics, LLC, its respective administrators, directors, agents, officers, volunteers, and employees, other participants, any sponsors, advertisers, and, if applicable, owners and lessors of premises on which the Activity takes place, (each considered one of the "RELEASEES" herein) from all liability, claims, demands, losses, or damages, on my account caused or alleged to be caused in whole or in part by the negligence of the "releasees" or otherwise, including negligent rescue operations and future agree that if, despite this release, waiver of liability, and assumption of risk I, or anyone on my behalf, makes a claim against any of the Releasees, I will indemnify, save, and hold harmless each of the Releasees from any loss, liability, damage, or cost, which any may incur as the result of such claim. AND I, the minor's parent and/or legal guardian, understand the nature of the above referenced activities and the Minor's experience and capabilities and believe the minor to be qualified to participate in such activity. I hereby Release, discharge, covenant not to sue and AGREE TO INDEMNIFY AND SAVE AND HOLD HARMLESS each of the Releasees from all liability, claims, demands losses or damages on the minor's account caused or alleged to have been caused in whole or in part by the negligence of the Releasees or otherwise, including negligent rescue operations, and further agree that if despite this release, I, the minor or anyone on the minor's behalf makes a claim against any of the above Releasees, I WILL INDEMNIFY, SAVE, AND HOLD HARMLESS each of the Releasees from any litigation expenses, attorney fees, loss liability, damage, or cost any Releasee may incur as the result of any such claim. In consideration of participating in activity at Metzler's Gymnastics Developments Center (dba Metzler's Gymnastics, LLC), I represent that I understand the nature of this Activity and that I am qualified, in good health, and in proper physical condition in participate in such Activity. I acknowledge that if I believe event conditions are unsafe, I will immediately discontinue participation in the Activity. I fully understand that this Activity involves risks of serious bodily injury, including permanent disability, paralysis and death, which may be caused by my own actions, or inactions, those of others participating in the event, the conditions in which the event takes place, or the negligence of the "releasees" named below; and that there may be the other risks either not known to me or nor readily foreseeable at this time; and I fully accept and assume all such risks and all responsibility for losses, cost, and damages I incur as a result of my participation in the Activity. Missed Classes: Missed classes must be scheduled through the office. All make-ups must be done during a paid session. If you miss a class in Session #1, for example, you may carry the make-up class into Session #2 as long as you have registered and paid for Session #2. Tuition: Tuition is due prior to the first class of each session. A late fee of $10 will be charged if payment is received after the first class of the new session and will be strictly enforced. There will be a $20 charge on all NSF checks. NO REFUNDS OF TUITION AND NO PRORATING WILL BE ALLOWED. Child's Safety: Parents are responsible for their child's behavior and their safety while on our premises, including parking lots, bathrooms, waiting areas, etc. I understand that children are not allowed in the gym unless an instructor escorts them and is present. Unless you are attending a busy beez class with your child or have permission from Metzler's staff, we ask that you stay outside of the gym in the waiting area. This is for your safety as well as the safety of the child you entrust us with. I hereby grant Metzlers Gymnastics and their agents the absolute right and permission to use photographic portraits, pictures, digital images or videotapes of My Child, or in which My Child may be included in whole or part, or reproductions thereof in color or otherwise for any lawful purpose whatsoever, including but not limited to use on the Metzlers Gymnastics websites, social media (Facebook,Instragram), without payment or any other consideration. I hereby waive any right that I may have to inspect and/or approve the finished product or the copy that may be used in connection therewith, wherein My Child's likeness appears, or the use to which it may be applied.I hereby release, discharge, and agree to indemnify and hold harmless Metzlers Gymnastics and their agents from all claims, demands, and causes of action that I or My Child have or may have by reason of this authorization or use of My Child's photographic portraits, pictures, digital images or videotapes, including any liability by virtue of any blurring, distortion, alteration, optical illusion, or use in composite form, whether intentional or otherwise, that may occur or be produced in the taking of said images or videotapes, or in processing tending towards the completion of the finished product, including publication on the internet, in brochures, or any other advertisements or promotional materials. I represent that I am at least eighteen (18) years of age and am fully competent to sign this Release. I hereby certify that I am the parent or guardian of the above named child and do hereby give my consent without reservation to the foregoing on behalf of My Child.